In 1634 the Dutch West-Indian Company (WIC) conquered several Caribbean islands from Spain. 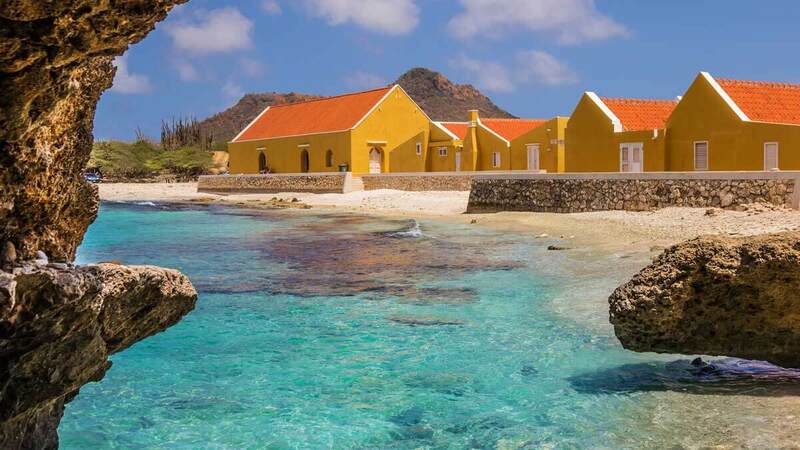 Bonaire was coveted for its salt pans. It also became the meat supplier for the WIC’s naval base on Curaçao. 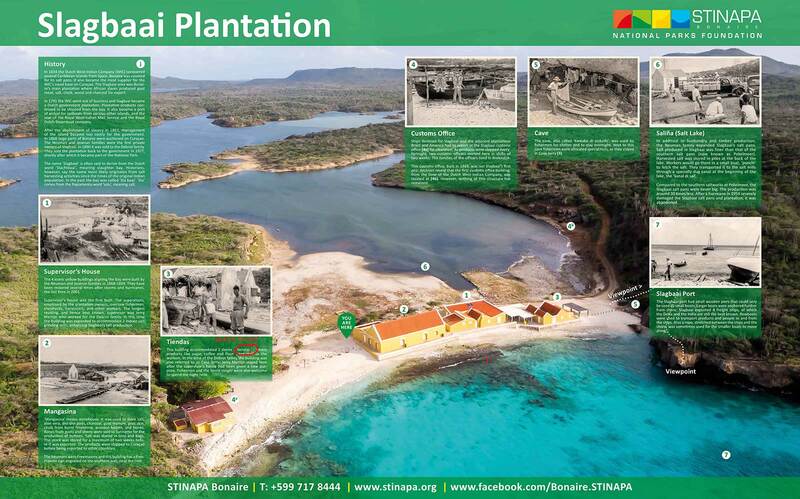 The Slagbaai area was Bonaire’s main plantation where African slaves produced goat meat, salt, chalk, wood and charcoal for export. In 1791 the WIC went out of business and Slagbaai became a Dutch government plantation. 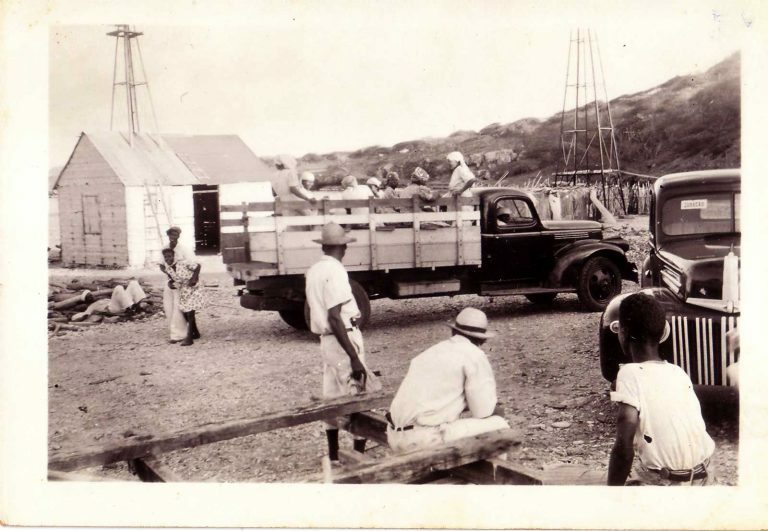 Plantation products continued to be shipped from the bay. 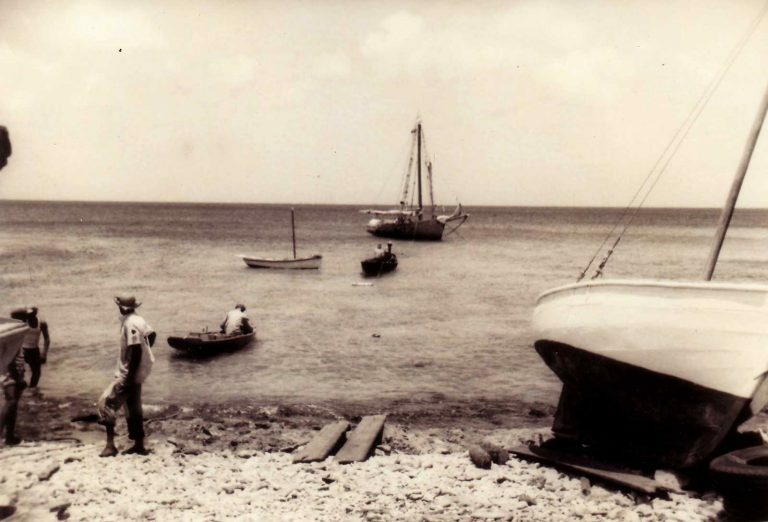 It also became a port of arrival for sailboats from various other islands, and the seat of the Royal West-Indian Mail Service and the Royal Dutch Steamboat company. After the abolishment of slavery in 1863, management of the island became too costly for the government. 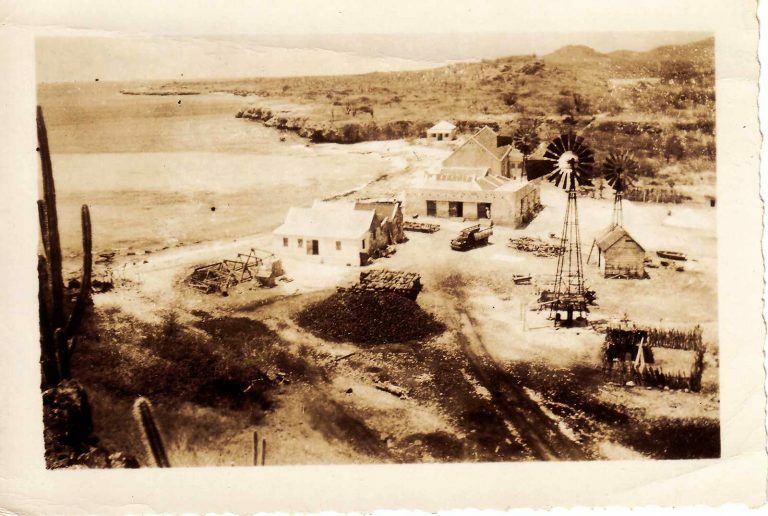 In 1868 large parts of Bonaire were auctioned on Curaçao. 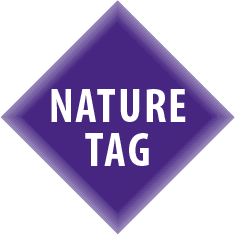 The Neuman and Jeserun families were the first private owners of Slagbaai. In 1890 it was sold to the Debrot family. They sold the plantation back to the government in 1977, shortly after which it became part of the National Park. 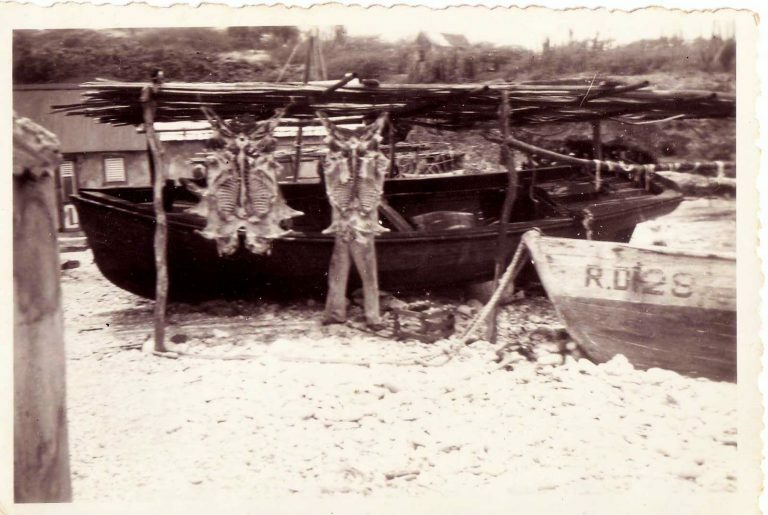 The name ‘Slagbaai’ is often said to derive from the Dutch word ‘Slachtbaai’, meaning slaughter bay. Historians, however, say the name more likely originates from salt harvesting activities since the times of the original Indian population. In the past the bay was called ‘Sla baai’. ‘Sla’ comes from the Papiamentu word ‘salu’, meaning salt. The 4 iconic yellow buildings aligning the bay were built by the Neuman and Jeserun families in 1868-1869. They have been restored several times after storms and hurricanes, the last time in 2001. Supervisor’s house was the first built. The supervisors, employed by the plantation owners, oversaw fishermen, shepherds, harvesters, and other workers. The longest residing, and hence best known, supervisor was Jerry Martijn who worked for the Debrot family. In this time the building was expanded to accommodate 2 indoor salt grinding mills, enhancing Slagbaai’s salt production. ‘Mangasina’ means storehouse. It was used to store salt, aloe vera, divi divi pods, charcoal, goat manure, goat skin, chalk from burnt limestone, wooden beams, and bones. Bones from goats and sheep were sold to Suriname for the production of buttons. Salt was stored in tons and bags. The stock was stored for a maximum of two weeks before it was exported. The products were shipped to Curaçao before being exported to other countries. The Neumans were Freemasons and this building has a Freemasons sign engraved on the southern wall, near the roof. This building accommodated 2 stores – ‘tiendas ‘- where products like sugar, coffee and flour were sold to the workers. In the time of the Debrot family the building was also referred to as Casa Jerry: Jerry Martijn stayed here after the supervisor’s house had been given a new purpose. Fishermen and the forest ranger were also welcome to spend the night here. Ships destined for Slagbaai and the adjacent plantations Brasil and America had to report at the Slagbaai customs office (4a) for clearance. As products were shipped every fortnight, two customs officers worked here in shifts of two weeks. The families of the officers lived in Kralendijk. This customs office, built in 1869, was not Slagbaai’s first one. Archives reveal that the first customs office building, from the time of the Dutch West-Indian Company, was located at (4b). However, nothing of this structure has remained. Slagbaai had 2 salt grinding windmills in operation. As both windmills were located outside, production suffered whenever it rained. It was therefore decided to expand the Supervisor’s house to accommodate 2 indoor salt grinding mills. The two outdoor windmills were no longer used. One was relocated to Kralendijk, the other’s foundation can still be seen at this spot. The cave, also called ‘kweuba di piskado’, was used by fishermen for shelter and to stay overnight. 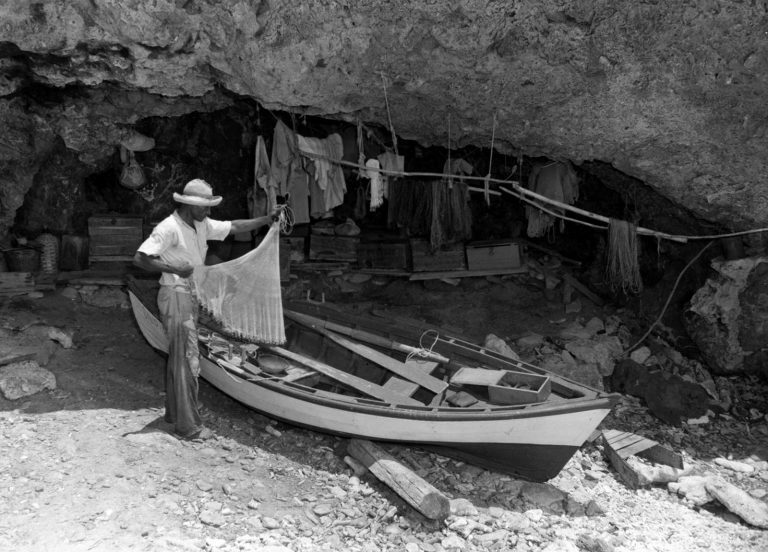 Next to this cave fishermen were allocated special huts, or they stayed in Casa Jerry (3). 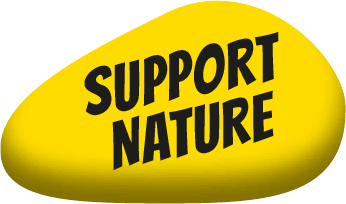 In addition to husbandry and timber production, the Neuman family expanded Slagbaai’s salt pans. 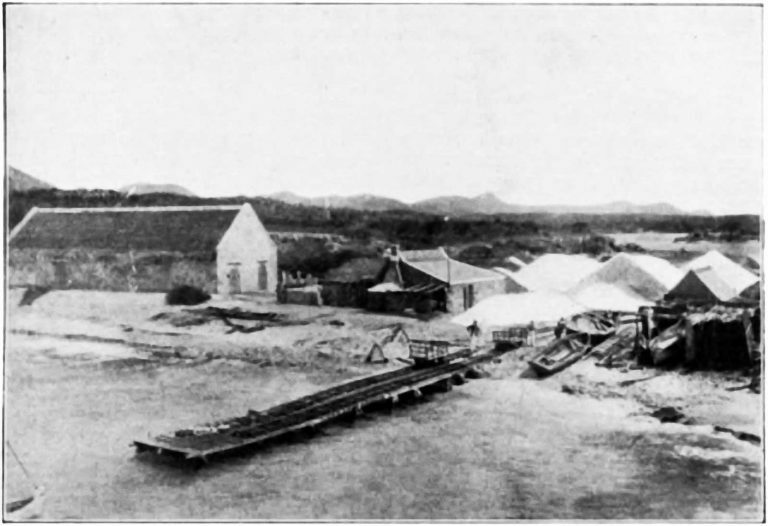 Salt produced in Slagbaai was finer than that of the southern salt pans (now known as Pekelmeer). Harvested salt was stored in piles at the back of the lake. Workers would go there in a small boat, ‘ponchi’ to fetch the salt. They transported it to the salt mills through a specially dug canal at the beginning of the lake, the ‘kanal di sal’. Compared to the southern saltworks at Pekelmeer, the Slagbaai salt pans were never big. The production was around 30 times less. After a hurricane in 1954 severely damaged the Slagbaai salt pans and plantation, it was abandoned. 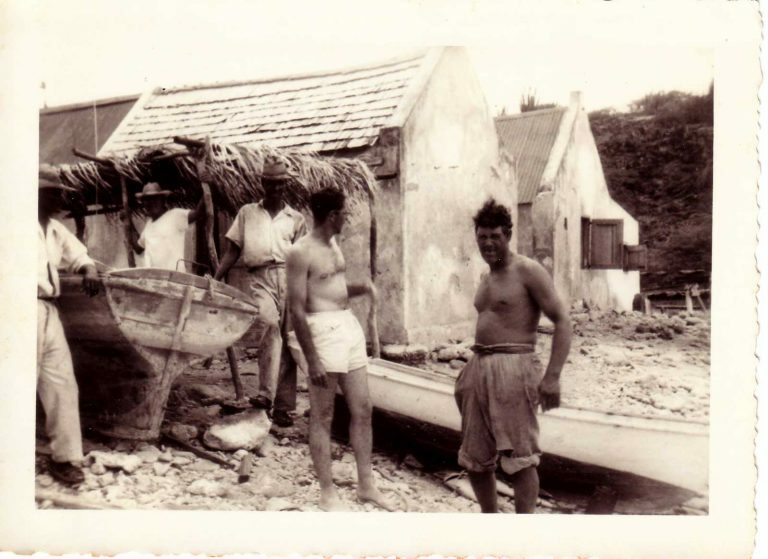 The Slagbaai port had small wooden piers that could only be used by small boats. Larger boats were anchored further from shore. Slagbaai exploited 4 freight ships, of which the Delta and the India are still the best known. Rowboats were used to transport products and people to and from the ships. Also a rope, stretched between the ships and the shore, was sometimes used for the smaller boats to move along.